Defence Minister Manohar Parrikar on Wednesday said that 127 crores people of India and the Indian armed forces deserved the credit for the surgical strike on terror launch pads in Pakistan-occupied-Kashmir (PoK) on September 29. 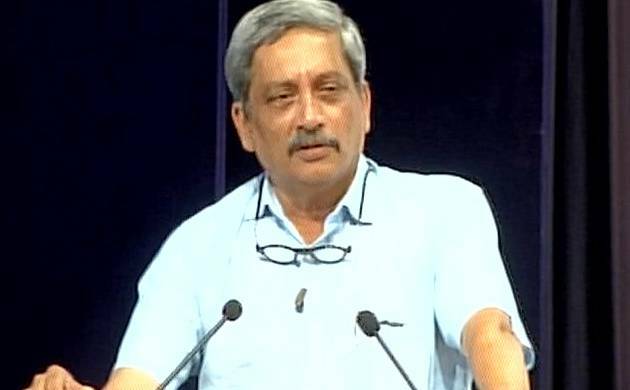 "I have been Defence Minister for over 2 years and from whatever I've learnt, there was no surgical strike anytime earlier," Parrikar said while speaking at the ‘Strengthening India’s Defence Capabilities’ event in Mumbai on Wednesday. He said: "There was a burden of helplessness among 127 cr people and 13.5 lakh army people that enemy is continuously bleeding us through 1000 cuts." # I have been Defence Minister for over 2 years and from whatever I've learnt, there was no surgical strike anytime earlier. # What probably they are quoting are action taken by Border action teams, which is common practice across globe including Indian Army. # In this local commanders take positive action against opponents who have been troubling them to settle the score. # It is not an official action approved by Govt, these are called covert op without knowledge of anyone. # Therefore, we should strengthen ourselves to a level, where no one dare challenges us for conventional and non-conventional war. # Terrorism is one issue that I consider as a proxy war carried out by non-state actor, almost like a covert operation. # This has changed mindset of our opponents,now they are worried that there is no predictability with India. # What we did on Sep 29 was telling our adversaries very firmly that India will not tolerate this. # However, our "hand of friendship" was probably construed as weakness by a few and they needed to be told very firmly. # PM Modi tried his best to give opportunity to the neighbour to have good relations & develop together. # There was a burden of helplessness among 127 cr people and 13.5 lakh army people that enemy is continuously bleeding us through 1000 cuts. # 127 crores people of this country and the Indian armed forces deserve the credit for the surgical strike. # India needs to think in terms of strength to avoid war. # However, Peace and this dislike for war should not be equated with weakness. # India doesn’t like war as it brings economic miseries; this country has never liked to rule other countries; which is its greatness.